Lorde Melodrama Live - Was it good? Which event outfit do Ты prefer? What do Ты think of Melodrama? lorde..what is your Избранное color..?? [i][b]That slow burn wait while it gets dark, bruising the sun. I feel grown up with Ты in your car, I know it's dumb. Lorde: Behind the Melodrama, an 11 episode track-by-track podcast interview with Lorde about her new album is out now. Spinoff Музыка editor Henry Oliver introduces the series. For ELLE's June Women in Музыка issue, on stands now, Lorde talks breakdowns, her new sound, and exactly what she'll be doing for the Далее two years. 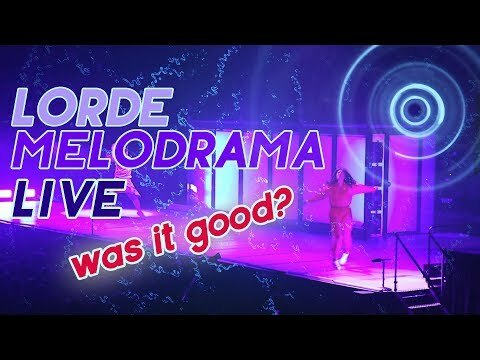 a comment was made to the video: Lorde Melodrama Live - Was it good? a video Добавлено: Lorde Melodrama Live - Was it good?